Improsaurus: Grandma Got Run Over by An Improsaur! Improsaurus is Dunedin's very own improvised comedy troupe! We do fortnightly shows at the Playhouse theatre, which we make up entirely on the spot based on your suggestions. Doors open at 8.30 with the show starting at 9pm. Cash and eftpos available. Due to the unpredictable nature of improvised theatre, adult themes (and the odd swear word) may be explored. See our Facebook event page for more details! 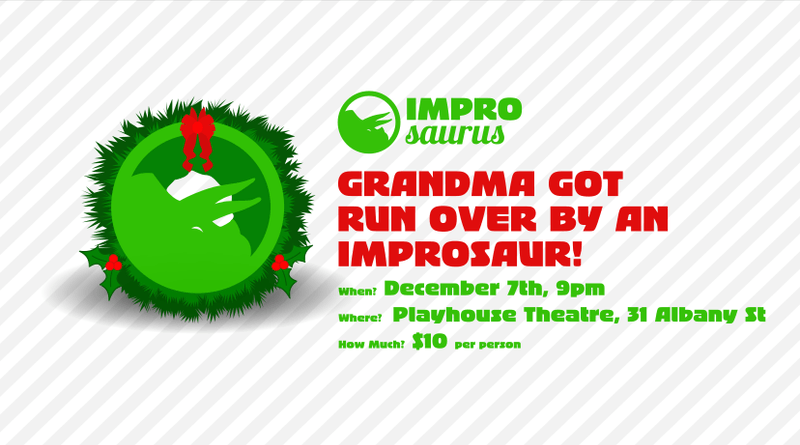 Restaurants to book near Improsaurus: Grandma Got Run Over by An Improsaur!